Understanding obesity. This book analyses the often-complex factors that influence weight gain, from our hormonal make-up to our eating psychology. Full of evidence-based research and real-life case histories, it gives intelligent advice on what to do when confronted with the need to tackle your health, or that of your child. It emphasises that exercise is key and that eating is one of the joys of life, not a medication. 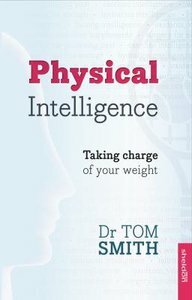 About "Physical Intelligence: How to Take Charge of Your Weight"